It’s the most wonderful time of the year…for sports fans. Yes, with only eight months and some change until the annual August release of EA Sports‘ Madden NFL 25, it’s time yet again for fans of the blockbuster football franchise to vote for who they want to see on this year’s cover, “Madden Curse” be damned. The first round pits Hall of Fame wide receivers Jerry Rice (most recently of the Seattle Seahawks) and Cris Carter (most recently of the Miami Dolphins) against each other in a play-in round; Rice retired after the 2004 season, and Carter left the game after the 2002 season. The two compete for the final spot in the competition’s “Old School” round. Voting, which began Feb. 28, is ongoing. The winner of the spot will be announced via Twitter on Monday before SportsNation’s Cover Vote Kickoff Show at 4p.m. Eastern time. SportsNation will then unveil the complete 64-player bracket. Fans can make their voices heard by tweeting SportsNation (@SportsNation) with the hashtag #Madden25Rice or #Madden25Carter. 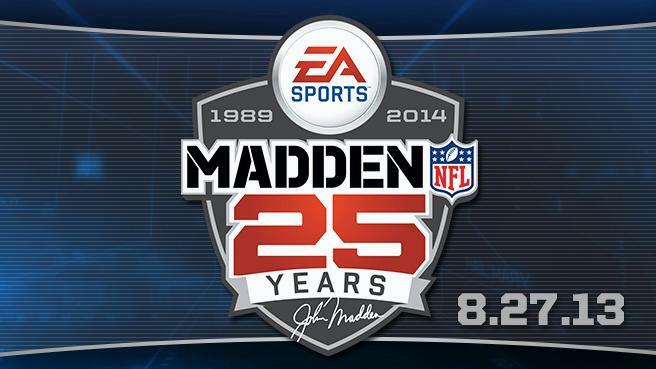 This year’s Madden entry eschews the traditional naming convention for the annual franchise; the game is called Madden NFL 25 instead of Madden NFL ’14 to commemorate the series’ 25th anniversary. Which player do you want to see take the spot? Who do you want to see on the cover of Madden NFL 25? Are you sick to death of seeing a new Madden title every year? Let us know in the comments.